I was recently thrilled to learn that a fellow blogger, Autism Mom, nominated me for a Liebster Award. This is an award passed from blogger to blogger. I am part of a supportive blogging community, and am very happy to learn that this award is out there. I'm looking forward to continuing to meet many more bloggers and growing my community. 1. How is blogging different than how you thought it would be when you started? I never dreamed that so many people would want to read my "ramblings" about life and autism. I am touched with every comment that is left for me. 2. What is your favorite blog post that you have written? I have a few favorite posts that tend to change depending on my mood. Right now my favorite blog post is, If You Want to Know How to Treat a Child With Autism... It's about my beautiful nephew, and how he treats my son who has autism. If you want to know how to treat a child with autism, look to my nephew. At three years old, this kid has accomplished what many adults fail to do. My all-time favorite is probably my very first post, Lessons from Brandon, which explains what my son has taught me without saying a single word. 3. What is the most surprising thing that you have blogged about, that you never thought you would blog about? I had a blog draft written titled, "Why I Cringe at the word Autistic." I had yet to publish the post because I hadn't found the right words to explain why I hated that word. I came across a comment on another blog that completely changed my perspective. I scratched my old blog post and created one called, Why I Cringe at the Word Autistic, and Why I Don't Anymore. 4. Where is the strangest place you have blogged (e.g., typed on your computer, wrote down blogging notes, etc.)? I come up with ideas on the fly. I jot down ideas at the most random times. I have to write them down or type the idea in my phone right away, because an hour later I will forget my brilliant idea. 5. Which blogger would you most like to meet? This is too hard to answer. There are several that I would like to meet. Life's a Disco Ball is an incredible blog, and I've actually had the pleasure of meeting the author, Heather. I would also like to meet Autism Daddy. He's funny and very real about the daily struggles and joys of autism. Plus he's anonymous, so there's some intrigue and curiosity there. 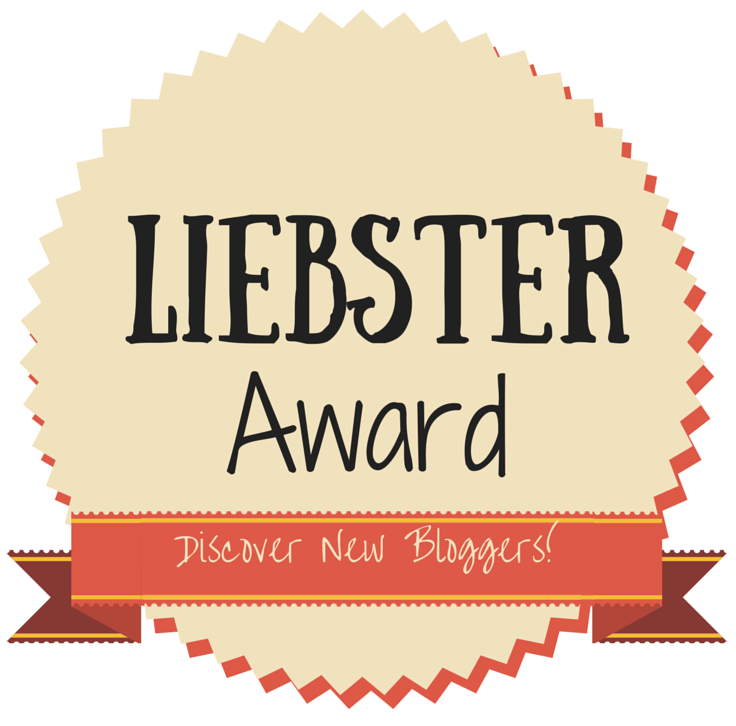 I nominate the following bloggers for a Liebster Award. These ladies are inspiring people, and I am grateful for their insight. What is something we don't know about you, that is not related to the topic you blog about? What is your favorite quote, and who wrote it? Thank you again to Autism Mom for the nomination! Don't forget to stop by her blog! Thank you so much. I'm honored to know you!